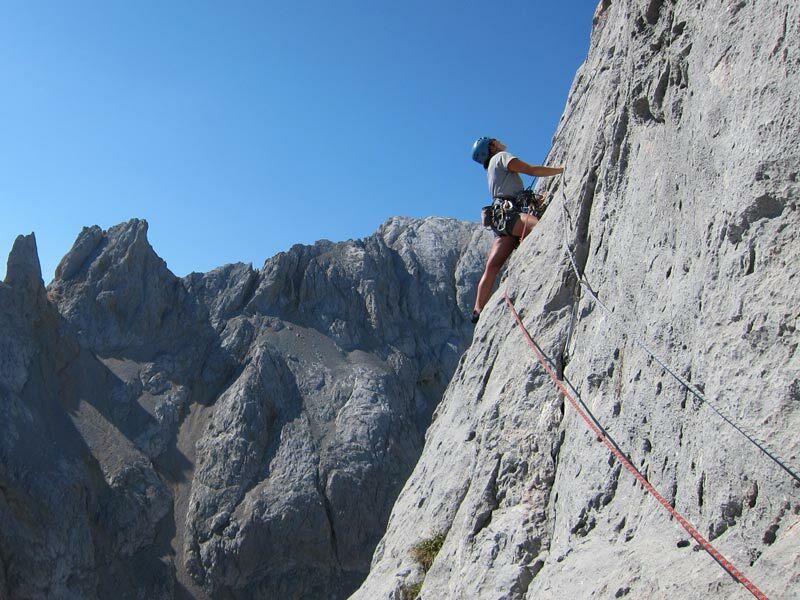 There is no such thing as a typical family but I will attempt to describe a typical climbing and abseiling session with Rock and Ride here in Mallorca. Firstly, we select the venue. 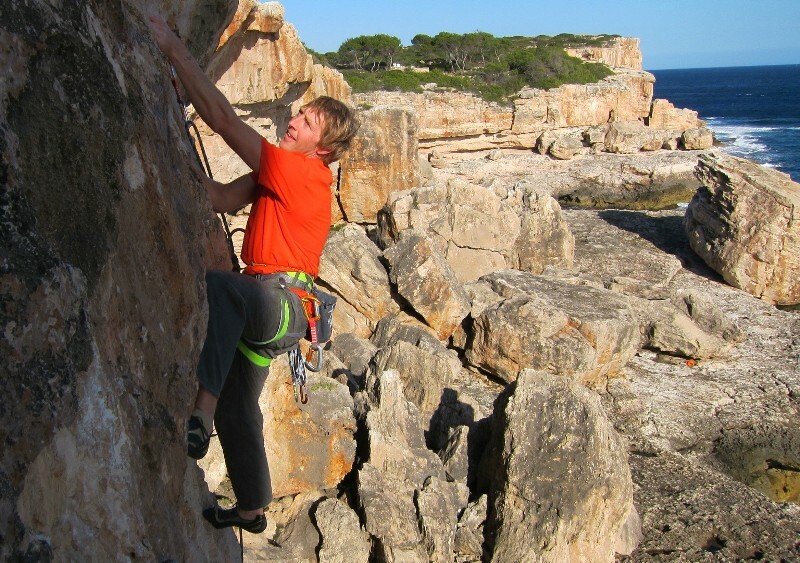 The good thing about rock climbing in Mallorca is that there is an endless choice of beautiful limestone cliffs so we can always find an area which suits the weather. In the winter we seek the sun and in the summer we seek the shade. 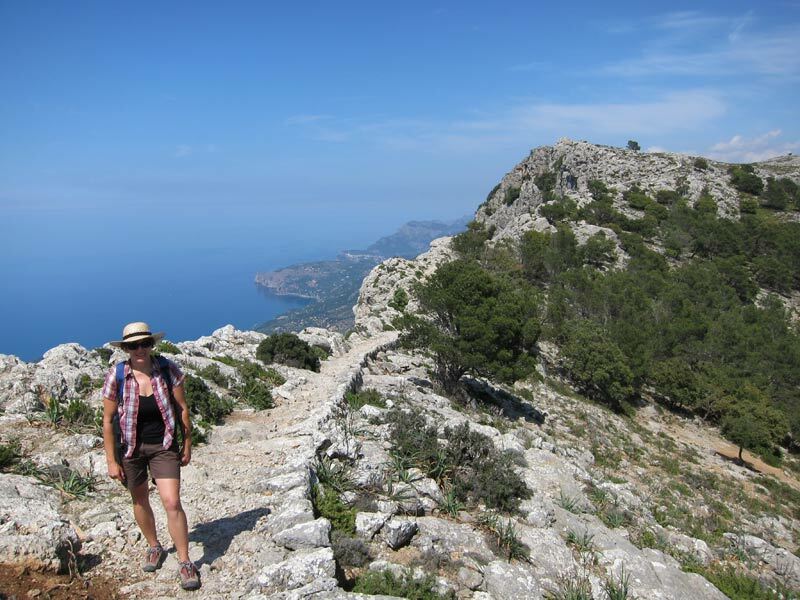 Mallorca’s rock venues are usually in the most beautiful places, hidden valleys, rock amphitheatres or overlooking the sea. 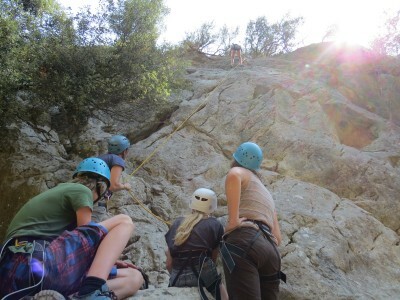 In the summer we can even arrange sessions that incorporate climbing, scrambling and swimming. Secondly, we carefully select the climbs. 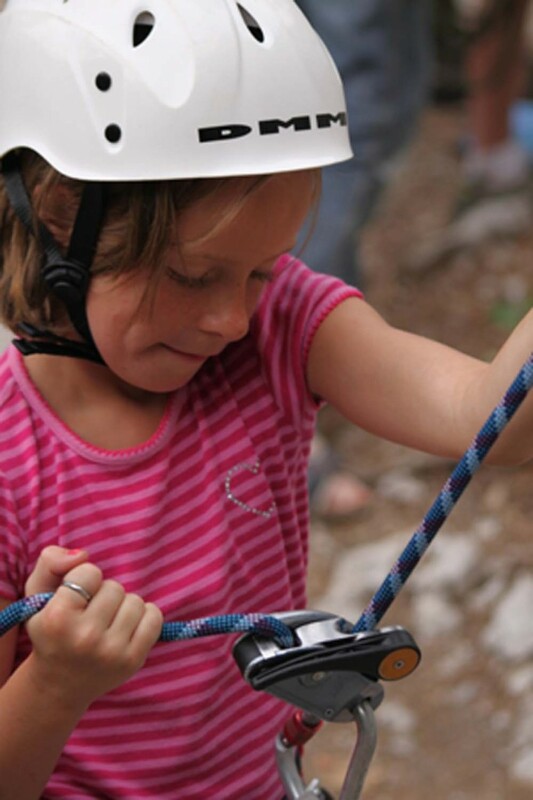 We pride ourselves on making rock climbing safe and enjoyable for everyone. 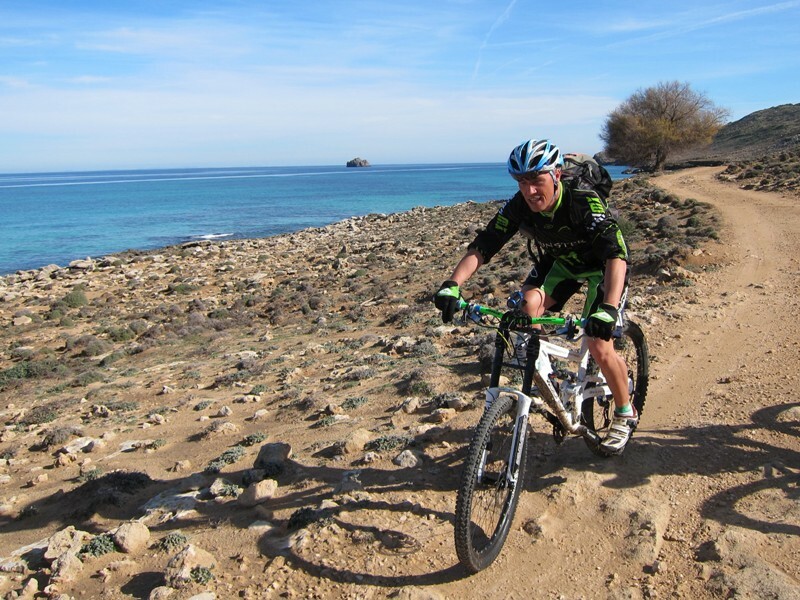 To this end we initially select a climb which is achievable! 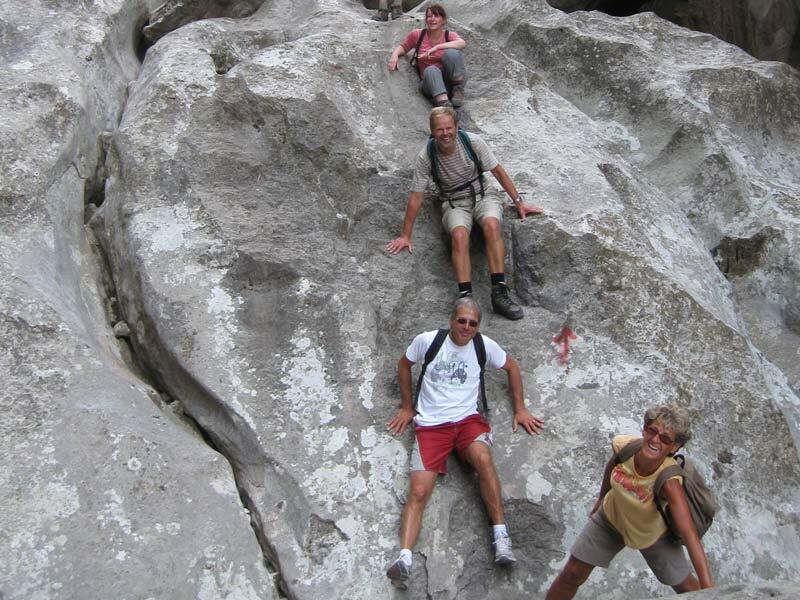 This will help get everybody used to the feeling of ascending and descending the rock face. For some people the hard bit is not the going up but the coming down so we give plenty of practice just hanging on a rope only 1m above the ground. We then build up from there. Some people are fearless, especially kids, for them we make sure they understand all safety elements and let them get on with enjoying the challenge of the climb. Roped climbing is the safest outdoor activities. I’m not saying that it isn’t scary but having a small fear and overcoming it is where a lot of the fun comes from. 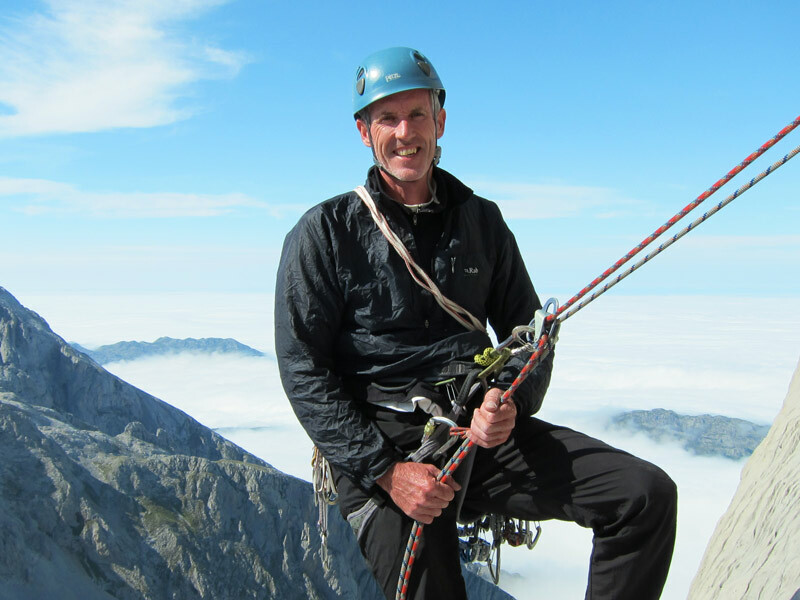 Our many years of experience means that we help you set the right level of challenge so that everybody can get a buzz and a sense of achievement without anyone getting scared silly! We also teach all family members what they want to know about the rope systems. Some people often enjoy the technical side of rock climbing more than the physical aspect. Young children particularly enjoy learning to tie knots. We also teach belaying (holding each other’s ropes) under close supervision. This means that not only is the whole family involved in each other’s climbs but everybody is also learning new skills. The skills needed to climb at an indoor climbing venue are relatively few and people are often surprised how quickly they can learn all they need to safely participate in climbing at a climbing wall without an instructor. Abseiling is also a popular choice with mixed groups. Some people prefer the mental challenge of going down more than they enjoy the physical challenge of going up. Some family members just like bouncing down a cliff pretending that they are James Bond (usually Dad). Some prefer to go down slow and steady taking in the view (usually Mum) and some people, normally the kids, beg us to let them go down facing forwards. Yep, we have seen it all! And finally we make sure there is plenty of time for snacks and photographs. We have lots of experience of taking mixed groups and creating an enjoyable environment for everybody, above all we are flexible. Just talk to us and we can come up with some ideas to give you and your family a safe, enjoyable and memorable day out.